You can see it looming ahead of you- ISO 17025:2017. You vaguely know that there’s some change you have to grapple with. The question is, how? You know, the Titanic hit the iceberg not because they could not see the iceberg but because they could not change direction. So how about a change of direction? Start early and enlist the help of professionals! There are some things in your arsenal that can help you get through this change. The first thing you should do is to read the new version of ISO 17025. Don’t leave it to the last minute to purchase and read this document. While you’re at it, you should also make sure you have the complete set of new NATA documents which sets out what you have to deal with in terms of NATA’s expectations. You might have already seen NATA’s Gap Analysis Guidance document. This document provides some commentary on what’s new and what’s changed. It’s a good place to start. You can see what you need to do and start to develop an action plan to address the changes. Typically, lab managers and owners can be worried about how much work there is to do to even just complete the gap analysis, let alone coming up with an action plan and finishing everything that has to be done. If you start early, it need not be such an overwhelming chore, but if you think you need a hand with this then we can talk about your challenges and work out if we can help you or not. One of the other things in your arsenal is your staff and their knowledge of the changes. Getting everyone to understand what’s new can be a particularly big challenge. Did you know that there is a conference in Melbourne in July where you and your staff can learn about that changes and what they mean for your lab? Future Labs 2018 includes a half day interactive workshop presented by Maree Stuart of MAS Management Systems. The conference is being held in Melbourne from 13 to 15 June 2018, with the workshop scheduled for Thursday 14 June. Learn about risk-based thinking, the big changes to impartiality, confidentiality and reporting requirements and tips for conducting a gap analysis. Can’t make it to the conference? That’s OK because you should look out for our new one day public and in-house training courses aimed at helping labs transition into ISO 17025:2017. We’re partnering with LTT to deliver nationally recognised courses and you could qualify for a subsidy for attendance at these courses. 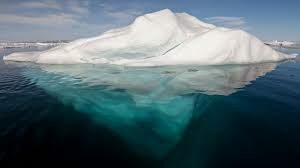 So dive below the tip of the iceberg and change your direction to ensure survival!